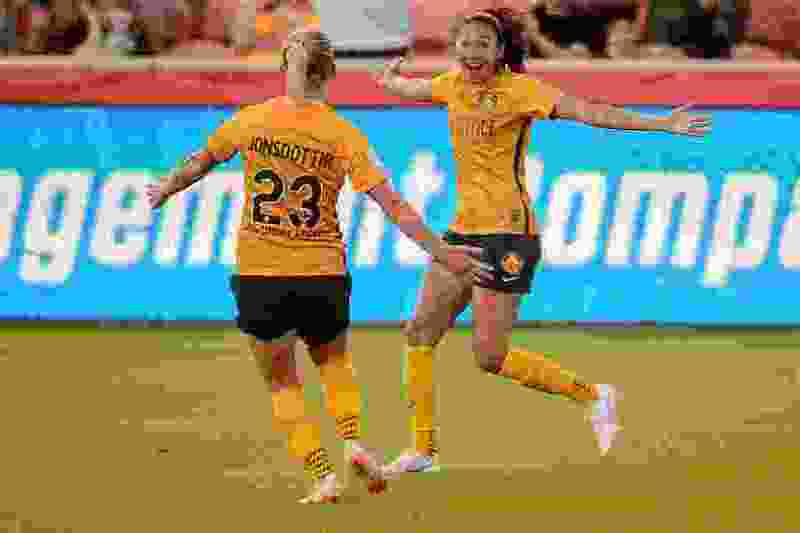 Sandy • The 2018 season for the Utah Royals FC was full of the ups and downs that many an expansion team experience in their first year. But through it all, they finished within reach of a playoff spot. Heading into this season, with their home opener coming next Saturday due to a bye week, the Royals have their eyes set on definitely making the playoffs. The Royals ended 2018 with a 9-7-8 record and just two points shy of the fourth and final playoff spot in the nine-team National Women’s Soccer League. The team bookended last year with a sellout home opener and a win to close out the season. But Utah’s goal will come with a challenge that only comes every four years. It will have to navigate missing seven players for the FIFA Women’s World Cub, which goes for about a month starting in early June. URFC will succeed if • They weather the World Cup storm. The Royals will have more players out during this summer’s FIFA Women’s World Cup than any team in the league, and brought in six others as national team replacements. If those replacement players can hold their own and stay healthy till the World Cup players come back, Utah will be in good shape. URFC won’t succeed if • Any of their top players get injured. Coach Laura Harvey said health may be biggest factor in whether or not the Royals will reach their goals of making the playoffs. While every team in the NWSL will have players in the World Cup, URFC has the most. Three of them — Christen Press, Becky Sauerbrunn and Kelley O’Hara — will be available for just the first two games of the season before they leave for France, Harvey said. If the United States Women’s National wins the World Cup, they won’t be back in Utah until July 15. Which means three of the Royals’ best players could miss as many as 10 games of the 24-game season. Harvey said the key to this season is managing the “what-ifs,” which include keeping players healthy and hoping those that leave for the World Cup don’t get hurt while overseas. Harvey went through something similar in the 2015 World Cup year, but she said this is the first time in her coaching career where that many of her players will compete in the international tournament. While the World Cup will possibly be the biggest story line of the 2019 NWSL season, teams are only getting started this week. Now that they’re only a week away from playing games that count in the standings, the Royals are starting to feel it. (Trent Nelson | The Salt Lake Tribune) Utah Royals FC midfielder Erika Tymrak (15) as the Utah Royals host Sky Blue FC at Rio Tinto Stadium in Sandy, Saturday June 30, 2018. Tymkak welcomes the pressure that comes with a playoffs-or-bust mentality. Vero Boquete not only said Utah had designs on at least making the playoffs, but competing for the NWSL title. Just after last season ended, Harvey expressed the same sentiment. The journey toward that goal starts next Saturday at home against the Washington Spirit. Saturday, April 20 vs. Washington Spirit, 7 p.m.
Saturday, April 27 at Orlando Pride, 5:30 p.m.
Friday, May 3 vs. Chicago Red Stars, 7:30 p.m.
Saturday, May 11 vs. Houston Dash, 1:30 p.m.
Sunday, May 19 at North Carolina Courage, 3 p.m.
Saturday, May 25 vs. Orlando Pride, 6 p.m.
Saturday, June 1 at Washington Spirit, 5 p.m.
Saturday, June 15 vs. Sky Blue FC, 8 p.m.
Friday, June 21 at Portland Thorns, 9 p.m.
Friday, June 28 vs. Reign FC, 8 p.m.
Friday, July 12 at Sky Blue FC, 5:30 p.m.
Friday, July 19 vs. Portland Thorns, 8 p.m.
Saturday, July 27 vs. North Carolina Courage, 8 p.m.
Saturday, Aug. 3 at Chicago Red Stars, 6 p.m.
Wednesday, Aug. 7 vs. Sky Blue FC, 8 p.m.
Saturday, Aug. 17 at Orlando Pride, 5:30 p.m.
Wednesday, Aug. 21 at Washington Spirit, 5:30 p.m.
Friday, Sept. 6 vs. Portland Thorns, 7:30 p.m.
Friday, Sept. 13 at Houston Dash, 6:30 p.m.
Wednesday, Sept. 18 at Reign FC, 6 p.m.
Saturday, Sept. 21 vs. North Carolina Courage, 7 p.m.
Saturday, Sept. 28 at Chicago Red Stars, 6 p.m.
Saturday, Oct. 12 vs Houston Dash, 7 p.m.